The comparative advantages of using a Digital sat-finder to install a satellite dish package cannot be overemphasised. The world is evolving, new technology is making things easier by the day out. Gone are the days when you are restricted to using a standalone FTA satellite receiver to track a satellite tv package/ position. 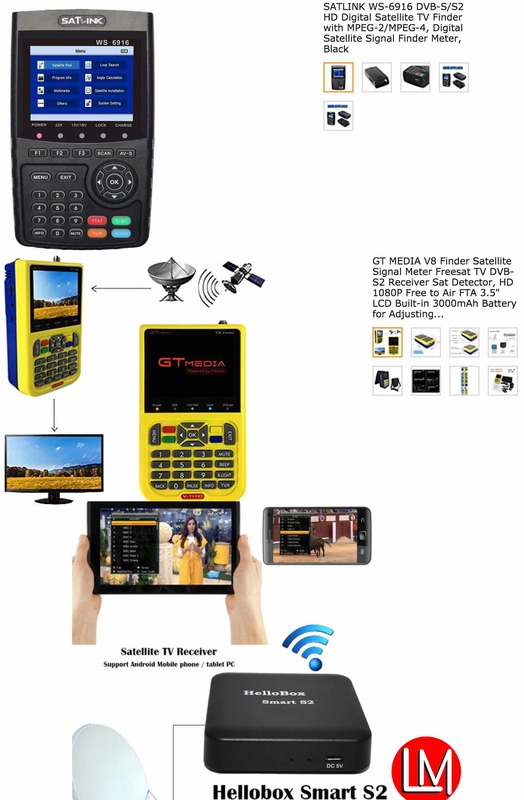 In the cause f this article, you will learn about the Importance of Sat-finders in Satellite installation with regards to tracking satellite tv channels. With the advent of DVB-S/DVB-S2 satellite tv finders, you can now easily single-handedly track any satellite tv channels of your choice. Prior to this development, you can only track sat channels with the help of a receiver and only when there is electricity. Now you can track alone, track without electricity and track conveniently. What is a Satellite Finder/tracker? Which Sat-Finder is the Best For Me? 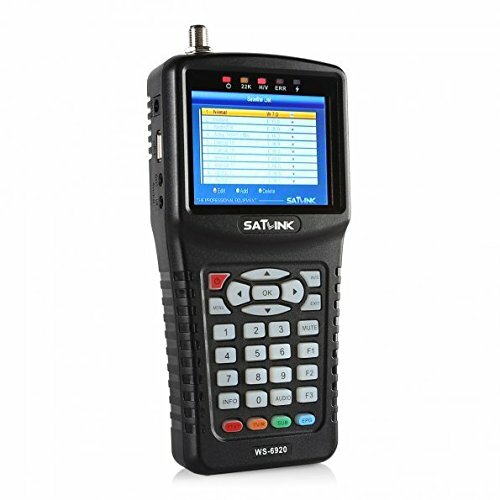 Satlink WS-6979 DVB-S2 & DVB-T2 Combo Digital Satellite Finder Spectrum Meter Analyzer. Where can I buy a Good Satellite TV Signal Finder/Meter? A satellite finder (or sat finder) is a satellite signal meter used to accurately point satellite dishes at communications satellites in geostationary orbit. Sat-Finders are simple to operate and are designed to be used while you’re installing a new satellite tv package. They are ease things up so much so that you don’t have to check your signal strength on your television set during installation. There are both analogue and digital models available, both with and without internal power supplies. some even call it satellite compass. Mobility: You can hang a sat-finder on your neck and climb the ladder with it something you cannot do with a receiver. In other words, you can go everywhere with it. Electric Shock: Also, you can limit the risk or prevent electric shock from occurring if you track your satellite tv packages with a sat finder. You don’t need to connect wires and sockets everywhere as you would for a receiver. Convenience: For a Bluetooth sat Finder such as hellobox S2, you can carry your sat finder in your pocket. You run little on no risk of damaging your device or electronics using a sat-finder. I have had a situation whereby an installer accidentally smashed to pieces his client’s flat screen tv because he had to bring the tv all the way out another to track some satellite channels. With a satfinder, you are insured. In fact, most household will not patronise you if you request for their tv before you are able to track the channels for them. Terrestrial channels are even easier to track with a compatible sat-finder. Satellite Orbital positions(deg) become easier to calculate with a great satellite signal finder. Actually, most satfinders now comes with an inbuilt compass. Track without electricity. You do not need to worry about where to get power from as most modern sat finders come equipped with their inbuilt battery. Also, you can use a portable power bank for Bluetooth satfinders. Furthermore, you can track any satellite dish at any time since you don’t need the tv to confirm anything. Even in the absence of your clients, you can do the job. Finally, for those who always have problems with big dish, sat finders are way easier to get difficult positions on a big dish. Now that you know the undeniable Importance of Sat-finders in Satellite installation, the next question is how to use one?. Well, It depends on the one you acquire. Most analogue satellite finders require external power sources while digital finders like all the ones reviewed above come with an inbuilt battery some of which can last a whole day on a single charge. Be that as it may, the following instructions will help you use these wonderful devices. First off, Connect one end of the coaxial cable to the barrel connector on the satellite dishes(LNB). Next, connect the other end to the satellite finder meter LNB IN. The LNB is the arm that faces the reflector dish. Next, Loosen the nuts that allow the dish to be adjusted both along the horizontal (azimuth) and vertical (elevation) planes. Now turn your sat finder to the “tv Mode” so that the LCD screen is activated for you to monitor events. 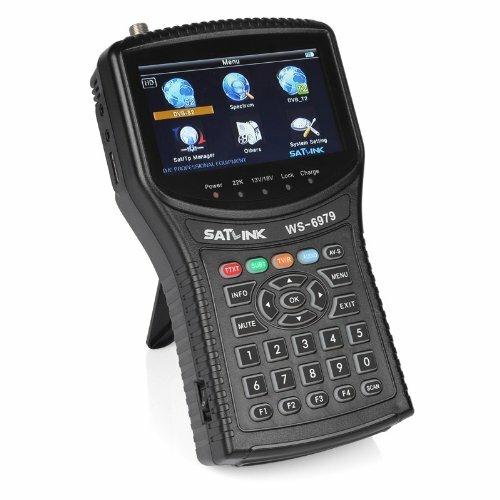 However, if you are using a sat finder without LCD, You will need to now connect another wire from the satellite finder to your satellite receiver’s “TO DISH” or “LNBF IN” or “SAT IN” port. Furthermore, if yours is a Bluetooth satfinder, you need to connect it to your mobile phone at this time. At this point, start moving the dish from side to side along the horizontal plane until you determine the position at which the satellite finder meter displays maximum signal strength. Continue with this cautiously until the sat finder starts beeping. If you’re using an analog meter, you will find this position in increments. First, adjust the gain knob so the meter’s needle reads half strength. As you move the dish closer to its optimal position, the meter may exceed maximum. If this happens, readjust the gain lower and continue to move the dish until you determine the position where maximum signal strength is received. Finally, raise and lower the dish along with the vertical plane until you determine the elevation at which the satellite finder meter displays maximum signal strength. If using an analog meter, you may have to adjust the gain as in the previous step. Once you are done, you will need to scan the channels on your receiver. You can also first do this on the satellite finder. Note: a cheap meter is a cheap meter. It will indicate the signal level from the LNB and nothing else. So Buy only branded meters. 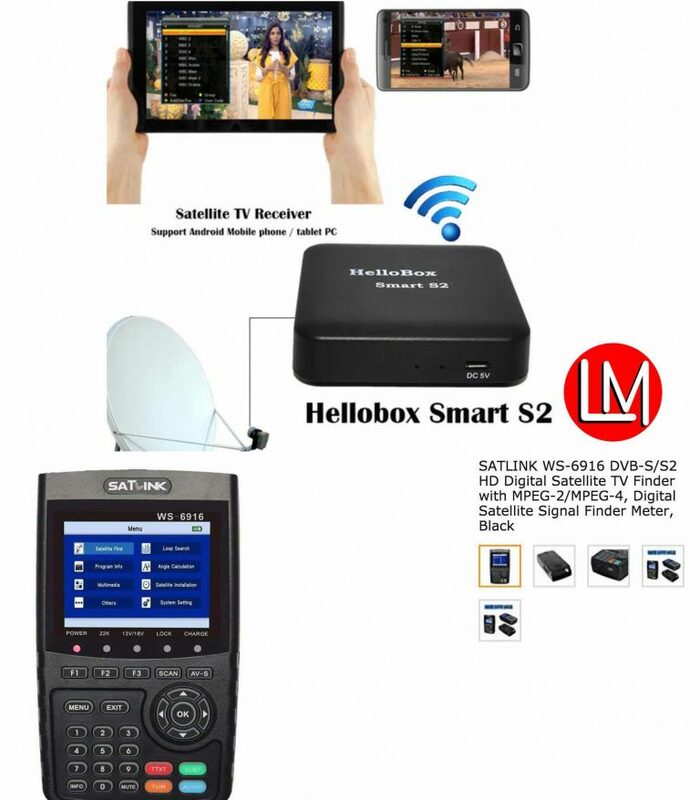 A good brand name is Satlink and KPT, Freesat and hellobox S2. Furthermore, If you are a professional and you want to be ahead of your competitors at all times. Buy a sat finder with DVB-S2(Note; DVB-s2 will get a signal from DVD-s but not the other way round), T2, and HD. 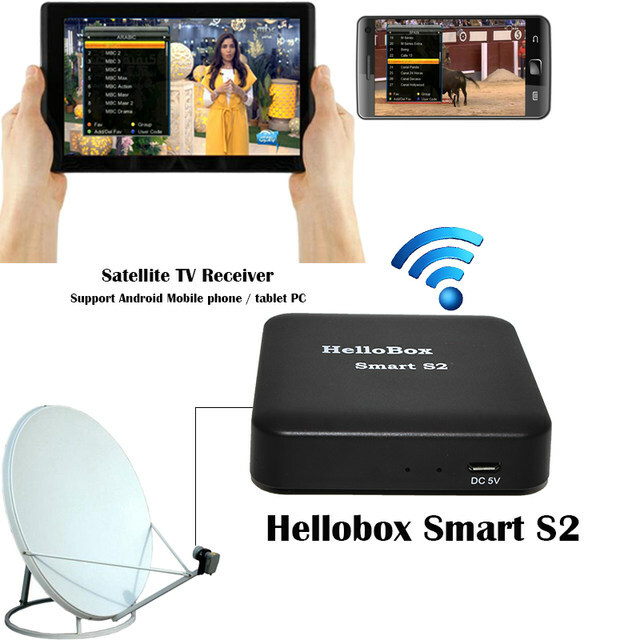 Most importantly, without hellobox S2, it is impossible for DVBPlayer to display satellite TV channels on your Android. 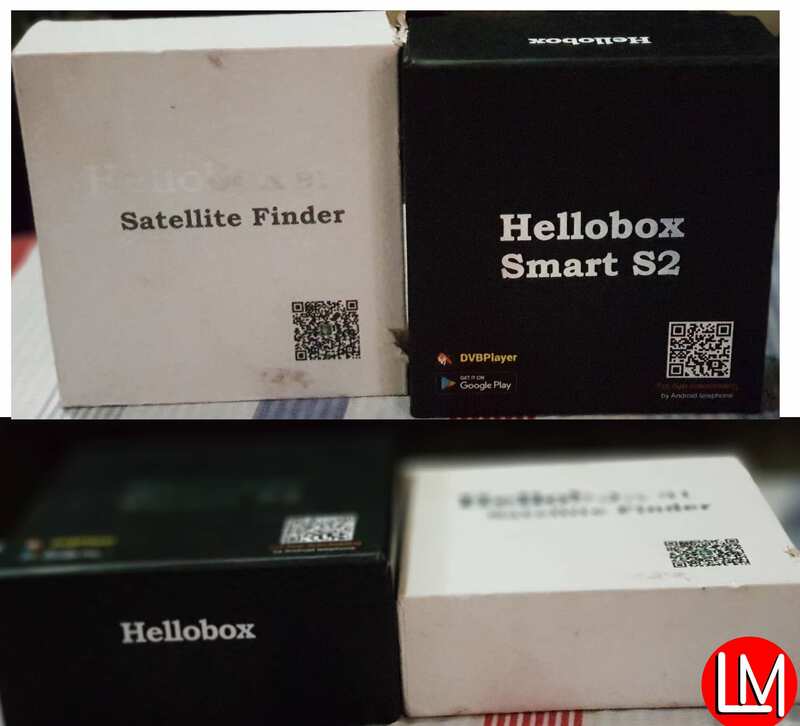 Also, Hellobox Smart S2 can be used as a digital satfinder just like hellobox B1 before it. 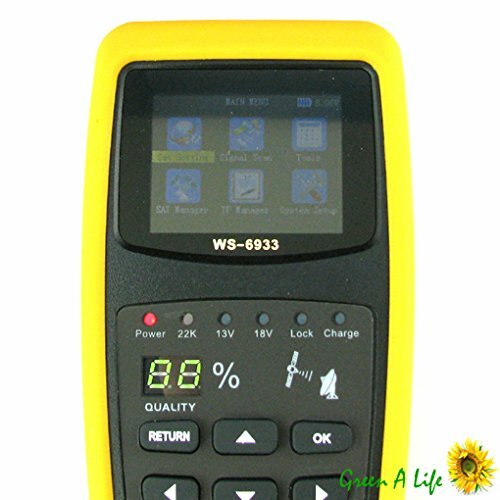 Satlink WS-6933 DVB-S2 DVB-S HD 2.1″ Digital LCD Satellite Signal Finder Meter. Luckily, I still sell satellite Tv components as well as receivers that are not preloaded with pirated content. Therefore, you can contact me via email to place your purchasing order. If you are outside Nigeria, you can check aliexpress, Amazon or eBay for any of credible satellite TV finder that you choose to buy. You should, however, know that the more features it has the higher its price. You can also get these online. i need hellobox bI satfinder and hw much is it reply through my e mail richmanrich1982@gmail.com am waiting for ur reply and how to get u. @Richman: then you need hellobox b1 satfinder.